The client is a leading designer jewelry and diamond retailer in San Diego offering the most extensive line-up of engagement rings, wedding bands, and diamonds in the area. As a direct diamond importer, they offer one of the widest selections of high-quality certified diamonds at affordable prices in San Diego. Their online jewelry store, launched in 2005, was the first of its kind at that time and has since been the leading jewelry e-commerce store in the United States of America. With increased competition in this business niche, the client wanted to increase their overall website traffic and digital footprint with the help of SEO. The problem – they had never done SEO before. The client’s website was plagued with broken URL’s, 22,000 to be exact, which were hurting the overall user experience of the website. Our experts fixed them all to enhance their SEO potential. A new modern, visually attractive, SEO friendly and mobile responsive website design was suggested to the client that will help them convert more website visitors. In-depth keyword research was done for the client with the help of industry-leading tools and competitor research to target the most relevant keywords in their industry and generate organic traffic. Our SEO experts then added the proper meta tags on the client’s individual web pages and product pages which included the keywords we intended to target. With the help of our content writers, we optimized their entire website content by adding relevant keywords to all their web pages and product pages to attract targeted traffic from search engines. 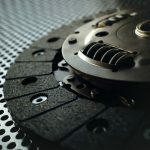 Started a Blog for our client and increased their digital exposure with publishing keyword targeted, long-form blogs that marked their authority in the industry and attracted traffic from search engines consistently. Our team of content marketers simultaneously marketed the blogs on various social media platforms, social bookmarking websites and high-authority blogs, resulting in a lot of high-quality backlinks and followers for the client. 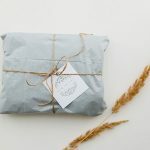 Carried out influencer marketing and guest blogging campaigns for the client that resulted in a lot of exposure for their products and helped generate direct sales. Strengthened their Local SEO potential by getting the client’s website listed on high-authority local directories in their industry, optimizing their ‘Google My Business’ profile and actively managing their online reviews. The Organic Traffic increased by 43.49%. 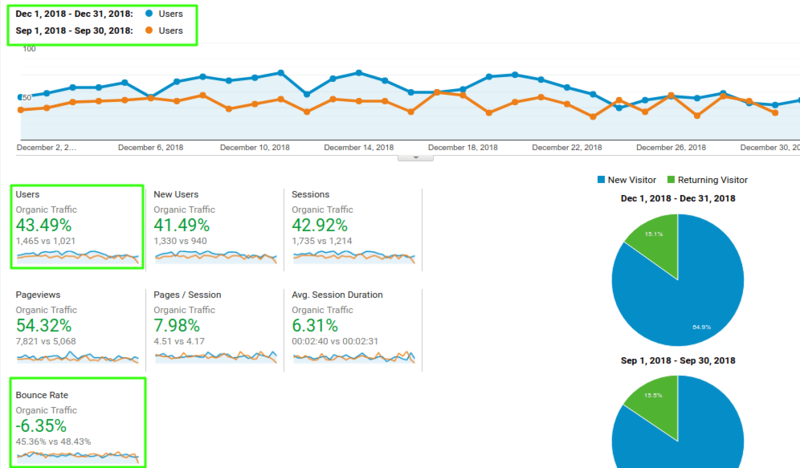 Pages/Session increased by 19.31% and bounce rate reduced by 16.59%. 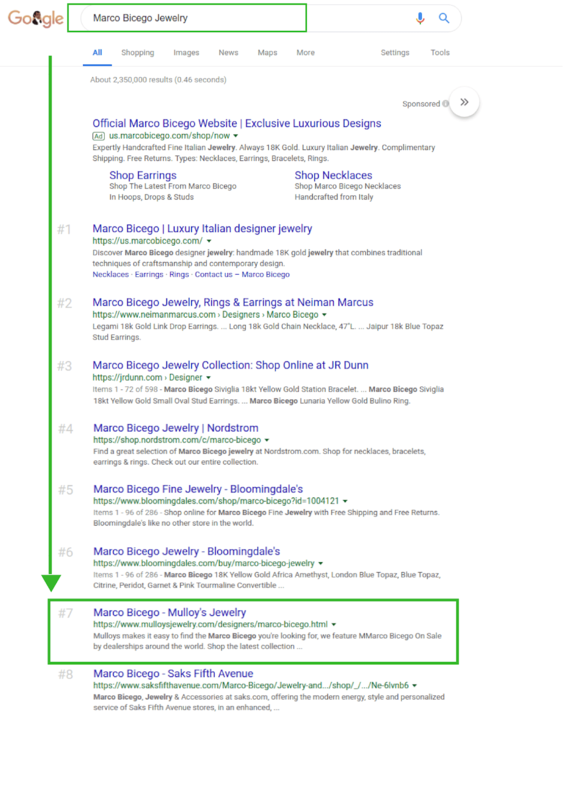 One of the important keyword “Marco Bicego Jewelry” started anking on the 7th position of Google. Taking care of your users and providing them with the best website experience is at the heart of SEO. Along with publishing stellar content, you’ll also have to make sure your website caters to mobile searchers, has a high-quality backlink profile, is fast and can be navigated easily to reach the top of Google. We can help you do it all!